From aboard the IMDboat at San Diego Comic-Con the cast of Annabelle: Creation introduce an exclusive clip from the film and talk about the terrors of shooting a horror film. Was 'Annabelle: Creation' Scary to Film? 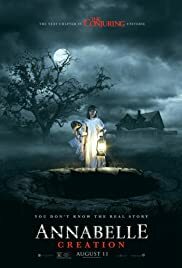 I first want to gloss over Ouija: Origin of Evil, as Annabelle: Creation is heavily inspired by that film. It's a 1960s R-rated horror prequel to a lackluster origin film starring Lulu Wilson based on possession & exorcism, ultimately tying in strongly with its predecessor. As I felt Origin of Evil had strong plot development, acting (though Wilson isn't the standout here that she was in O:OoE), cinematography, and overall eeriness, I could say most of the same things for Annabelle: Creation, though I find them all just a notch below. Given the time period that this film takes place, the technology that was present served this film very well in the throwback sense, either because it doesn't make the characters too idiotic to not rely on their technology more often, or it doesn't allow the supernatural to manipulate their technology too much to the point of ridiculousness. Even traditional items like a bell (similar to The Uninvited), a well (similar to The Ring), or a dumbwaiter (many horror films) work because of the particular time period that it's in and add to the atmosphere the film builds up. Several elements like this were heavily in play and made for a fun setting. Here's where I have a mixed bag of positive/negative, and it has to do with the direction. James Wan is clearly a heavy influence for David Sandberg (Lights Out), but part of me feels like Sandberg and crew watched Wan's Conjuring films, created a checklist, and tried their best to check all of those boxes. It makes for great horror, but part of it makes me feel like I've seen it all before. If Wan was directing, I think he would find a new way to shoot certain scenes and present certain items. Given the setting I was referring to before, I saw all of the foreshadowing coming into play a bit too easily. It's like it was all on-the-nose. You also can telegraph all of the jump scares. That doesn't mean they weren't still effective and that the film wasn't still scary on its own (trust me, there are plenty of non-jump-scare moments that are still very good), but I feel like I just saw a Wan copycat instead of Wan himself is all. I mean that's not a bad thing, because I considered Wan as the new master of horror before he decided to become an action director. Just food for thought is all. Now I will give Sandberg some credit. He played with out-of-focus scenery more than Wan had in the past, making us look in the dark areas or the background to see if something was lurking about. I also think he included more shock factor regarding when things can occur (daytime, early stages of the film) and how at-risk all of the children really were, making them all vulnerable to victimization by injury, possession, and/or death. I also think that without a star-studded adult cast it was a lot easier to give the child actors a lot of limelight, to the point that I knew all of them really quickly (in The Conjuring, I couldn't tell you a single one's name as they were more pawns for Wilson and Farmiga). Every so often he would let the camera cut away for the scary thing to appear/disappear/move and such, but then sometimes he would just say "screw it" and do it right in the shot just to mess with the audience, who was thoroughly engaged in this film from start to finish. 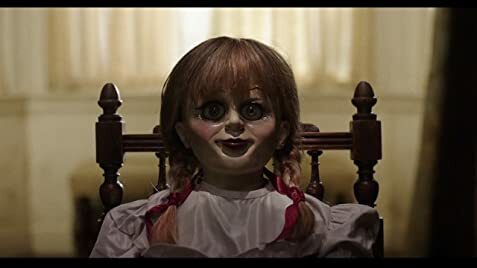 The thing I think most people have to remember about this film, which I sometimes forget myself, is that Annabelle is just a doll... creepy looking, but just a doll nonetheless. She's not like Slappy or Chucky, where the doll is the soul in and of itself. The doll may act as a conduit for the demon however; we have known this since The Conjuring. However, this demon can also do it in its own form, or into a human, or anything else that it wants to... even more than one place at a time. Makes it kind of strange that Annabelle still remains the highlight of the film by the title, but these films are less about the doll and more about the entity, and that's fine with me. I just have to keep reminding myself that. I want to close by saying that these films (Conjuring 1 & 2, Annabelle & prequel, Ouija & prequel) remind me a lot of the Paranormal Activity film franchise: despite a different setting and finding new ways to try and scare the audience, the story largely remains the same. Big family in big house dealing with possession and finding a way to exorcise it. Personally, I dig them all, but they aren't reinventing the wheel, so don't assume this is a fresh new take on the genre. 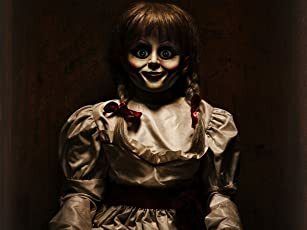 However, given that Annabelle was so poorly received, you had to assume that if they were making this film, they likely said: "Let's make sure that doesn't happen again, so what can we do differently?" They found it, and it's called Annabelle: Creation. Very good, though I've kind of seen it before. That's okay though, because it ain't broke. 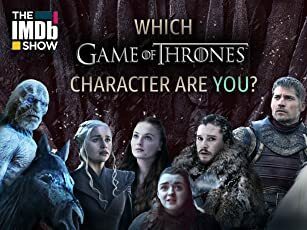 I just don't know how much longer it can last and still bring in myself and other audiences. 44 of 82 people found this review helpful. Was this review helpful to you?